Newly-repositioned 98,000 SF community shopping center in Monrovia to also include ALDI national grocery retailer opening in December 2017 and ULTA Beauty opening in 2018. Monrovia Landing in Monrovia, Calif.
MONROVIA, Calif. - Oct. 18, 2017 - PRLog -- Warner Pacific Properties, a real estate investment and development company, announced today the opening of a new T.J.Maxx/HomeGoods combo store at the newly repositioned Monrovia Landing at 735 and 737 E. Huntington Drive (Historic Route 66) and S. Shamrock Avenue, in the City of Monrovia, California. The new store will celebrate its grand opening on Sunday, October 22nd, at 8:00 a.m.
"We're humbled by the community's excitement for this weekend's opening of T.J.Maxx and HomeGoods, and also for the ALDI store opening planned for early December," said Michael Odell, principal and co-founder of Warner Pacific Properties. "These retailers are grateful to finally have stores in Monrovia, and be able to better serve its residents and nearby communities." Warner Pacific Propertiesacquired the property in February 2016, and at the time of the acquisition, the 98,000-square-foot retail center consisted of a vacated Albertsons grocery store building and an O'Reilly Auto Parts store and was shadow anchored by Michaels (not included in the sale). Monrovia Landing is part of a larger retail development referred to as the Shamrock Center, which includes a 24-Hour Fitness, Yoshinoya and Taco Bell. "It's been a collaborative effort, and we're grateful for our tenants and partners, as they quickly bought into our redevelopment vision for this property," said John Odell, principal and co-founder of Warner Pacific Properties. "Our lender, Calmwater Capital, was particularly helpful and, instead of seeing the old building that sat vacant for several years, they immediately recognized this building's potential and they facilitated our business plan. It has been incredibly rewarding to bring an old building back to life, and recycle structures instead of demolishing them." John Odell added, "The City of Monrovia has been extremely cooperative and we can't thank them enough for their continued assistance." The retail building was originally developed in 1973 as a Super Kmart and was then acquired by Lucky Grocery Stores in 1997, and then later by Albertsons. One notable historical point, according to Odell, is the mural on the former Albertsons' building that pays homage to the Monrovia Airport that once existed across the street from 1928-1953. Warner Pacific Properties preserved the mural, which has a prominent focal point in the new shopping center. New tenants, ALDI, a national grocery retailer with nearly 1,700 U.S. stores in 35 states, is slated to open on December 7, 2017, and ULTA Beauty, the largest beauty retailer in the U.S., is expected to open in the second quarter of 2018. Additionally, Monrovia Landing will have several smaller shop spaces, including My Pet Garden, a local pet store currently operating in Pasadena. Warner Pacific Properties has enjoyed a long-standing relationship with ALDI and has facilitated over 100 ALDI projects from coast-to-coast. Brothers John and Michael Odell co-founded Warner Pacific Properties more than 10 years ago, focusing on the acquisition of well-priced properties, special situation properties and properties in need of rehabilitation or repositioning in major metro areas around the country. 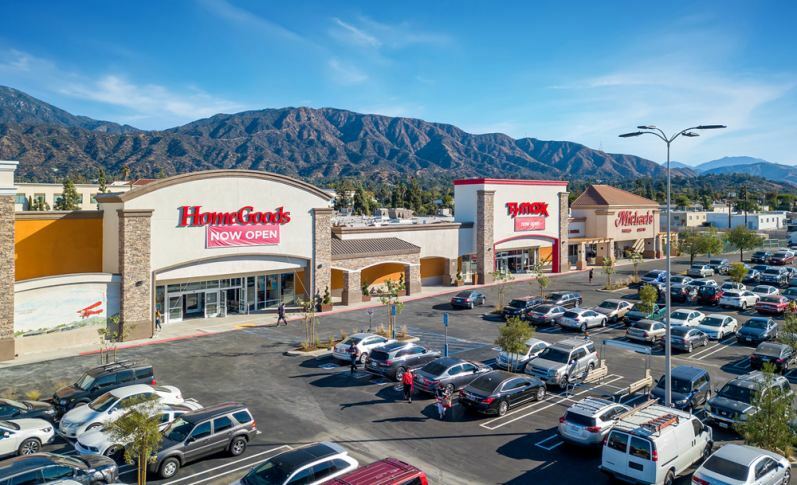 In addition to the repositioning of the Monrovia Landing shopping center, the company's West Coast office has acquired apartment communities, unanchored retail shopping centers and is currently evaluating a variety of retail and mixed-use development opportunities. and sierratradingpost.com in the United States; 258 Winners, 112 HomeSense, and 63 Marshalls stores in Canada; 522 T.K. Maxx and 51 HomeSense stores, as well as tkmaxx.com, in Europe; and 35 T.K.Maxx stores in Australia. TJX's press releases and financial information are also available at tjx.com (http://www.tjx.com/index.html). Warner Pacific Properties is exclusively engaged in commercial real estate investment and development, and specializes in the acquisition and repositioning of commercial buildings and developing vacant land. In addition to its relationship with ALDI, Warner Pacific Properties has worked with many other national retailers including Advance Auto Parts, Home Depot, McDonald's, Olive Garden and Walgreens across the U.S.